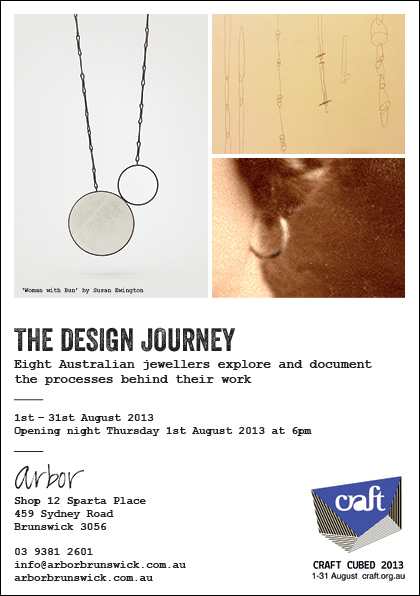 The Design Journey is on at Arbor from 1-31 August, with an opening reception Thursday 1 August from 6pm. Part of the Craft Cubed festival, The Design Journey explores eight Australian jewellers' design development and working processes, exhibiting the journey along with the work. You can also follow the journey online at the Arbor website: throughout August, the work and images of each artist's design process will be featured in an online exhibition. Design stories will be featured on Arbor's blog weekly. You can see some of my journey toward understandings of place and home through the observation of ordinary places in Brunswick here.